Hot Wheels Builder Just $26.75! Down From $62! PLUS FREE Shipping! You are here: Home / Great Deals / Amazon Deals / Hot Wheels Builder Just $26.75! Down From $62! PLUS FREE Shipping! Amazon has this Hot Wheels Builder Starter Kit on sale for only $26.75 down from $61.99 PLUS FREE shipping! 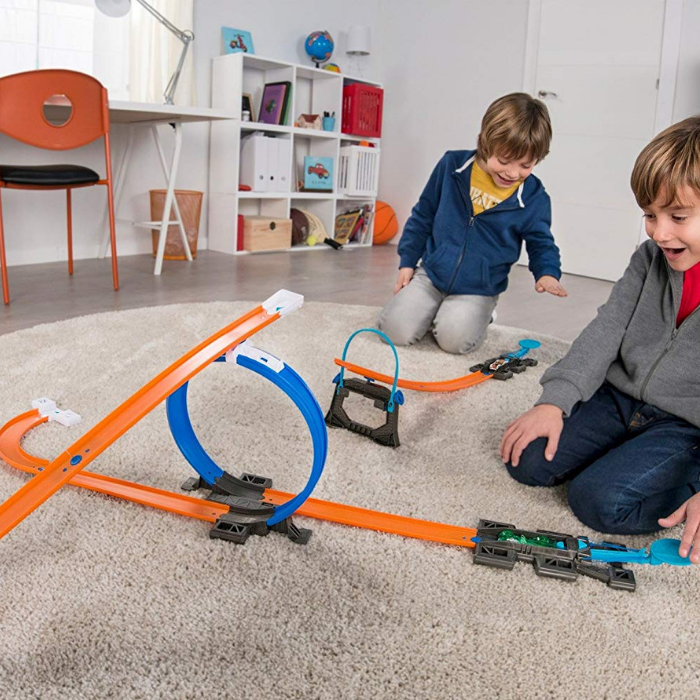 Start building an epic world of Hot Wheels tracks or add on to an existing track set with this impressive kit. Many of the items in this kit have more than one use, so kids can keep their imaginations—and their tracks—growing with a series of nearly endless configurations. This kit also comes with a utility handle that can be used as a hook for a gravity drop to build the world of play. The handle doubles as a holder, neatly keeping all the components in the kit together for simple storage and easy portability. Comes with an impressive amount of pieces including orange track, launchers, connectors and much more! Includes one Hot Wheels vehicle for instant racing fun!